2 level loft style walk-up with 1 bdrm + den/office. The living room boasts 16' ceilings and a wood-burning corner fireplace. Open plan in the kitchen with breakfast bar. Skylight in dining area for bright cheery atmosphere. Updated bath with soaker tub for relaxing at the end of the day. Spacious master bedroom with walk-in closet and Juliette balcony. 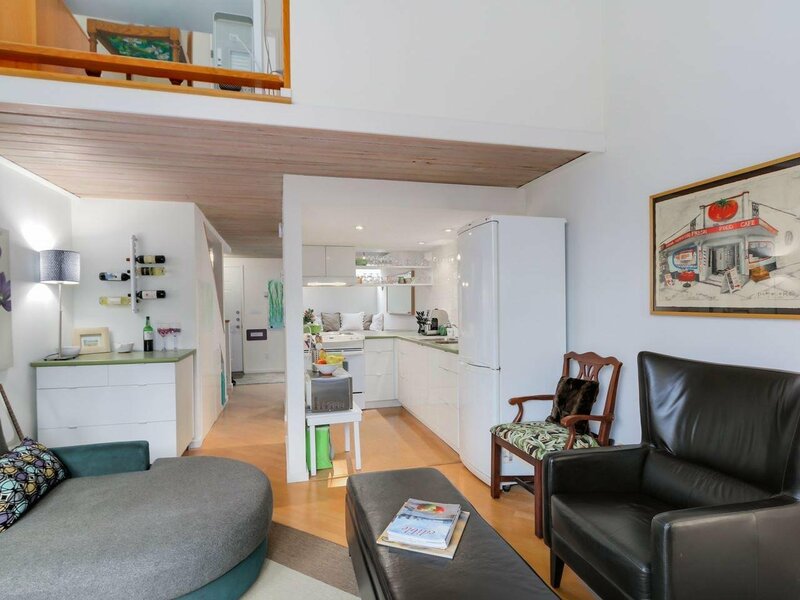 Extras include pickled cedar ceilings, cork and laminate floors and loads of built-in storage. The upper loft mezzanine is great for the home office and overlooks the living room. Large sunny paved deck with great afternoon sun for entertaining and hosting barbecues. This unit has another bonus: 2 parking (tandem) spots. Pets and rentals allowed with restrictions.